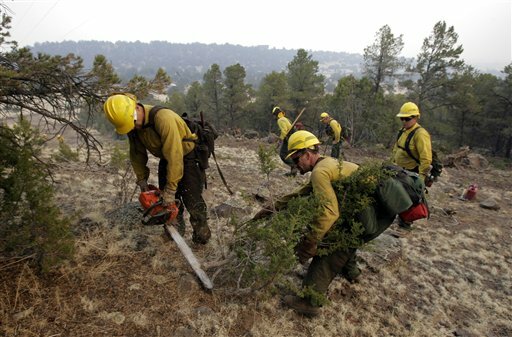 Just a few days after an alarming story about Miami being doomed by rising ocean levels, 19 experienced firefighters died in a raging forest fire in Arizona. Both stories are tied to the rapidly melting Arctic ice fields and the increasingly chaotic weather set loose by global Climate Change. They are dramatic confirmation that the impact of Climate Change will be far-reaching and unpleasant. 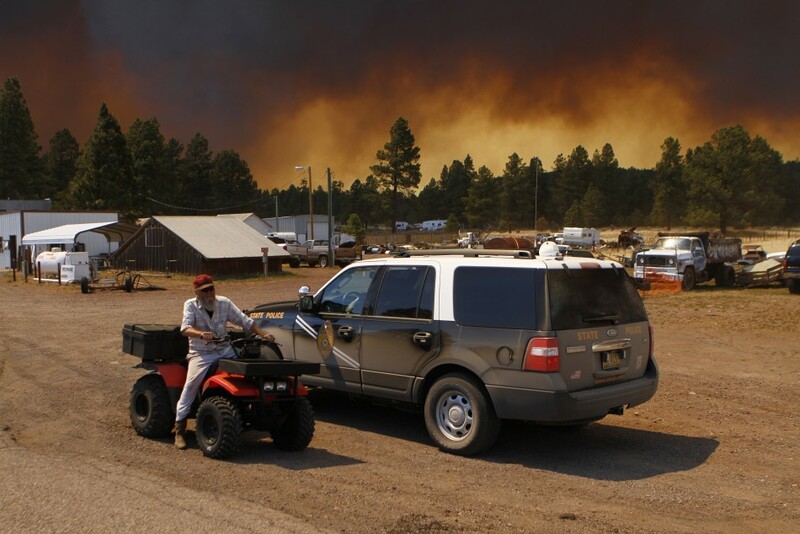 The public information officer for the Prescott Arizona Fire Department said “it had to be the perfect storm in order for this to happen” to the firefighting team known as the Granite Mountain Hotshots. The fire, started by lightning and fueled by gusts of hot winds blowing up to 80 miles per hour, suddenly changed direction and overcame the team, which is respected for its rigorous training and physical fitness requirements. Like the enormous fires in Colorado, this fire was fed by tinder-dry conditions brought on by a severe drought that has gripped the RockyMountain and Plains states for two years. This serious climate effect, produced by warming temperatures melting the polar ice cap, occurs because more warm air is now rising out of the Arctic sea, pulling normal winter storm systems from the American west up north over Canada and away from the southwest. Sloan’s study predicted a 17 to 30% drop in precipitation by 2050 in some parts of that region. Unfortunately, the recent acceleration in polar ice melt means that the mass of Arctic sea ice fell to the study’s projected concentration in 2011: thirty-nine years early. The result? A drought that is spawning huge wildfires like the one that wiped out the Granite Mountain Hotshots. Outside Magazine ran a chart in its June 2013 issue showing that 2,719,000 acres burned in 1986 while in 2012 the number soared to 9,326,000 acres. Can Phoenix, Las Vegas, or Denver survive if the drought becomes a permanent weather condition? Ironically, melting sea ice will have the opposite effect in southern Florida. Climate scientists predict that sea levels will rise enough by 2030 to begin turning Miami into the American Atlantis. Hurricanes will flood beachfront hotels and mansions, surge over sea walls, and push salt water into drinking wells. The area’s beautiful beaches will lose all their sand and coastal highways will merge into the sea. By 2100, the ocean will rise six to ten feet and all of south Florida will be submerged. Suddenly, climate change is raising the possibility of large portions of the United States becoming uninhabitable – about major cities being abandoned in the next 50 years. Unless you want to watch it happen in your lifetime now is the time to get active. Join 350.org or some other climate change group and save our cities. Yes, the seemingly random appearance of different types of extreme weather events make it hard for people who resist thinking of climate change as a total systemic breakdown. The extreme weather predictions date back to the mid 90’s when the first international group of global warming scientists ran the first models about how the earth’s water and air systems would balance out the extra heat. The Corporate environmental responsibility group CERES has a lot of info about 4 major industries, including insurance and automotive, and how their businesses have a fiscal responsibility to account for a warming earth. Yes, part of the frustration about climate change is we are very far along in understanding it, but almost nowhere in doing something about it.